You’ll always remember that Christmas you ice skated in Vienna and laughed over mulled wine; that Christmas in Switzerland where snowflakes fell on cobbled streets and the advent steam train took you high in to the mountains. 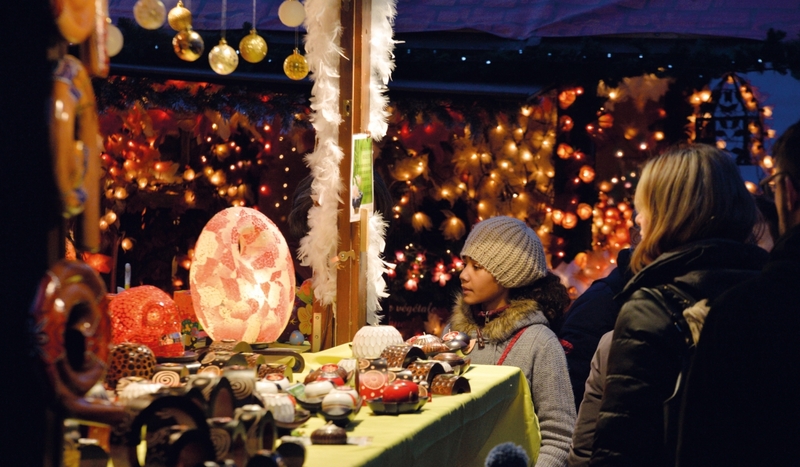 Christmas markets are a truly memorable way to celebrate the festive season. The authenticity of crisp winter nights, twinkling lights and the angelic sounds of choirs is enough to melt the heart of the most uncaring festive cynic. Christmas markets (Christkindlmarkt) have long been popular and have been going since medieval times and as early as 1298 in Vienna. On Christmas eve 1616 no-one attended the church service in Nuremburg as the market proved so popular. Today the markets are popular as festive city breaks and run from late November until December. Below we have put together some of the best Christmas markets in Europe. 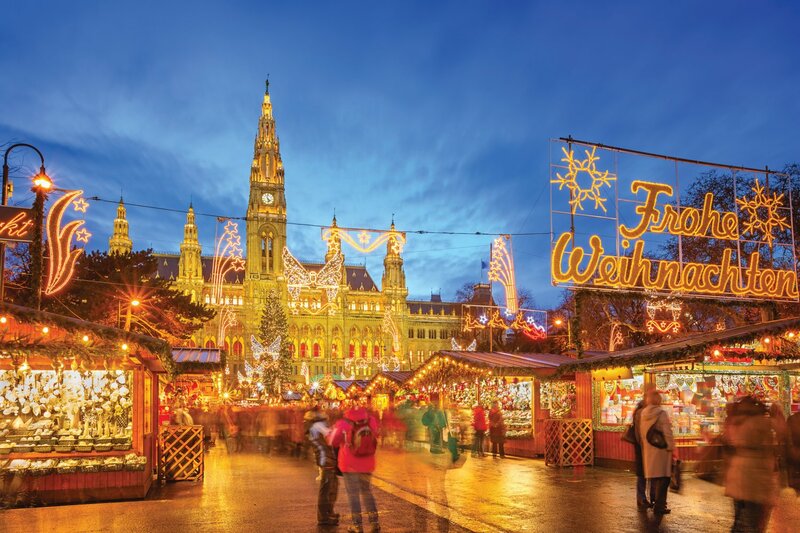 Hosted since 1298, the magic of advent in Vienna is a Christmas market capturing the romance and nostalgia of the festive season. Twinkling lights illuminate the city in a joyous glow and the city hall square fills with the aroma of festive baking, hot punch and roasting chestnuts. Laughter echoes from the lit-up ice rink and quaint wooden stalls sell their handcrafted goods and homemade produce. 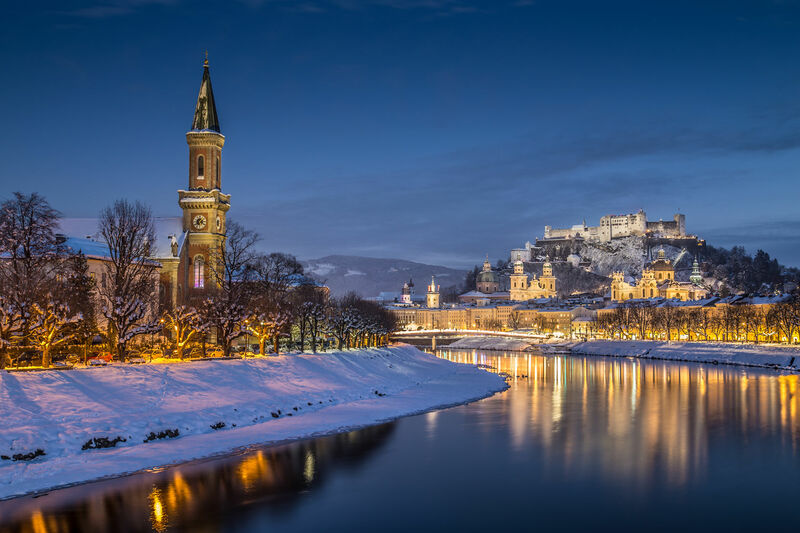 Christkindlmarkt in Salzburg is a traditional and intimate festive experience. Choral singing echoes from the great cathedral and chiming bells ring from baroque churches marking the occasion. The scent of gingerbread and Christmas spices fill the air and stalls sparkle with festive decorations. Warm up with roasted chestnuts and sweet mulled wine and explore one of Europe’s loveliest cities. Get your skates on at the ice rink and catch a glimpse of the lit up medieval castle glowing down from the cliff above creating a postcard backdrop to this traditional affair. 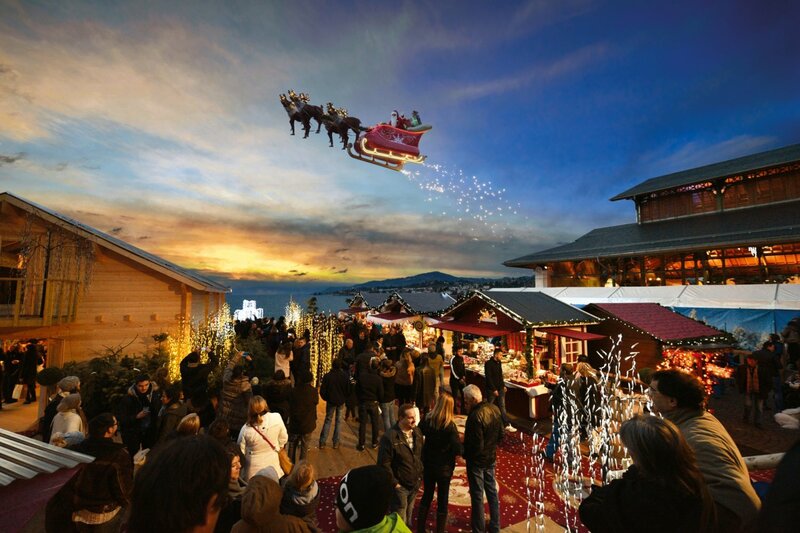 It’s quite a magical experience as you sip mulled wine and you spot Santa and his reindeer fly over the shores of Lake Geneva. Over 150 chalets are lit up along the grand rue of Lake Geneva. Montreux Noël is quite an event, a magic garden is illuminated with sculptures with sound and light shows and elves can be found in the gardens of Casino Barriere. The Chateau de Chillon becomes home to magical characters including jugglers, storytellers and dancers. Above the city, blanketed in snow, Santa’s grotto can be found upon mountain Rochers de Naye (accessible by a cog railway). With so much going on Montreux Noel is perfect for a magical family holiday. 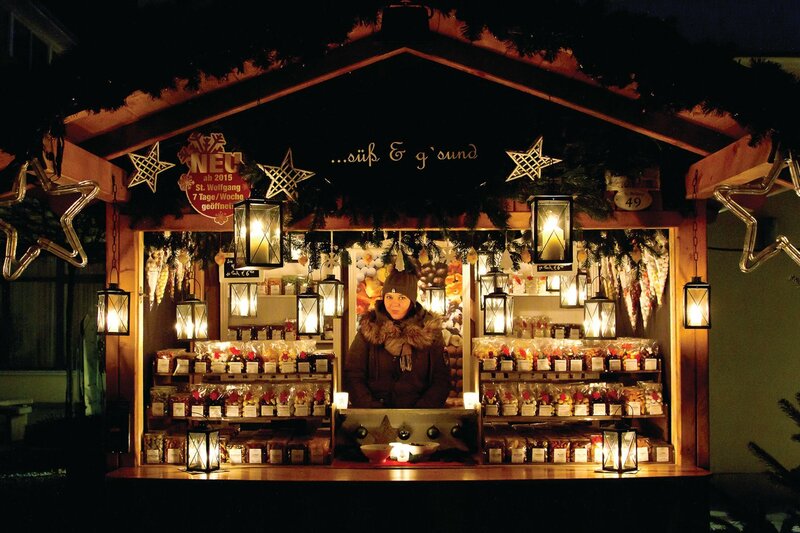 Displaying the best of Christmas traditions this market is a festive fairy-tale not to miss! 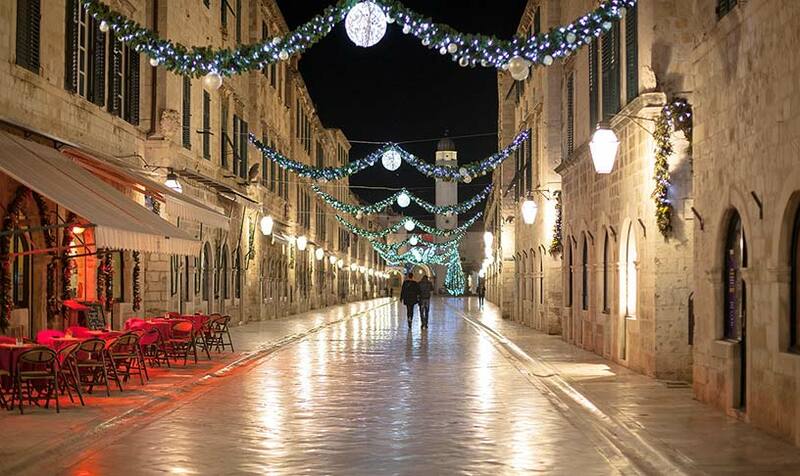 You may not have thought of Dubrovnik for Christmas markets but you really should! The famous Old Town is adorned with pretty lights and the city’s fortified walls are a glow with glittering fairy lights. Traditional craftsmen display their work selling ornaments, toys, candles and much more. 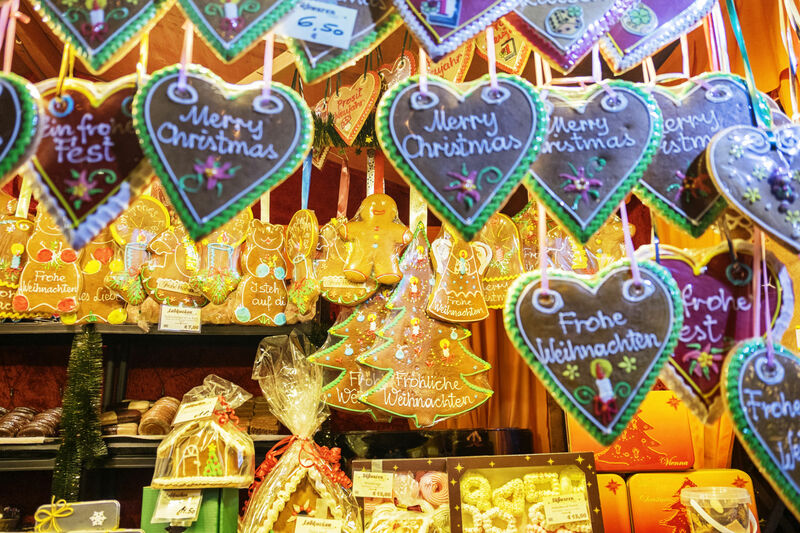 Here you will find traditional European Christmas refreshments and additionally some unique local treats such as candied almonds and Kontonjata. This traditional market is prefect for those looking to avoid crowds and a superb idea for a short break during the winter months. Taking place in the famous city square ‘Piazza Dei Sinori’, Verona’s Christmas market is directly inspired by those in Hamburg. Christmas lights adorn the square illuminating the historical architecture and a large metal star feature steals the show. Bright wooden huts sell stylish glass ornaments, wooden carvings and attractive ceramics as well as traditional Christmas snacks and refreshments. Popular with romantic city breaks, Verona only becomes more amorous with the additional Christmas glow. With snow patterned roofs and a fairy-tale ice rink, the town of Lucerne (Luzern) becomes an authentic Christmas scene. 70 wooden stalls huddle around Franziskanerplatz in front of Santa Maria church selling warming crepes, mulled wine and Christmas commodities. This lake side city is adorned with wreaths and sparkling decorations illuminating the winter skies. Brass bands and choirs play traditional tunes filling the air with festive cheer. A truly unique Christmas market, at Wolfgangsee you can travel between several markets by lake boat. Wolfgangsee is a lake in Austria just east of Salzburg and during winter, the lake and surrounding mountains are covered in snow. Each market has its own theme from candles, torchlight and warming braziers to baroque stalls and nativity scenes. Floating in the lake a large floating lantern is surrounded by floating stars making a truly magical centrepiece to this remarkable market. There is also an advent steam train which ascends the snowy Scahfberg mountain. Christmas is a popular time in Madeira and thanks to its mild winters, has attracted those looking to escape the British weather. 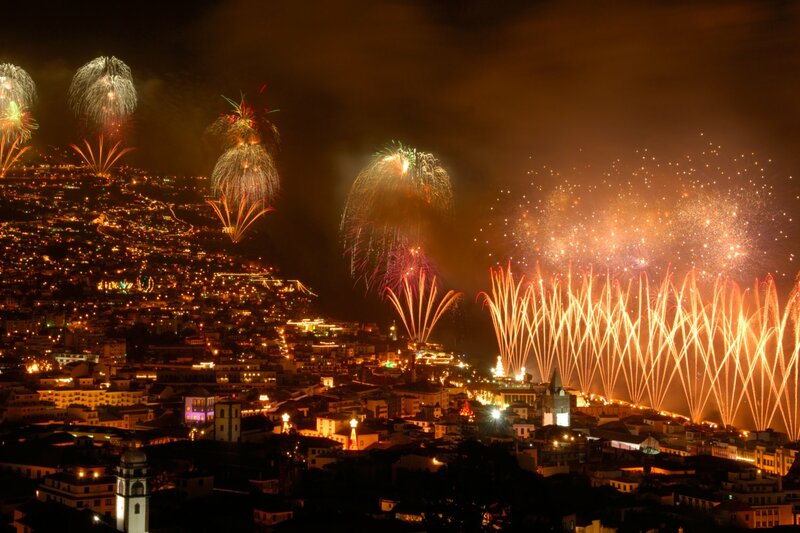 During December the city of Funchal comes alive with celebrations, cultural events and decorative lights, all to celebrate the festive season. Funchal market (Mercado dos Lavrados) see’s the streets fill with joyous people, Christmas carols and a real festive spirit. Bars open late and restaurants bring Christmas to their menu’s. Have you been to a Christmas market? Which is your favourite? Tell us in the comments below. For more information on hotels and destinations visit our website.